1. Joe T Sharick, Christine M Walsh, et al. 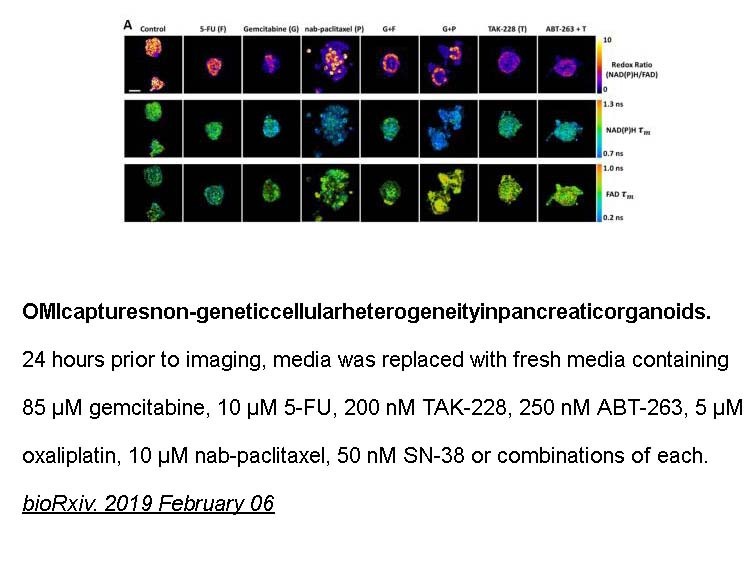 "Optical Metabolic Imaging of Heterogeneous Drug Response in Pancreatic Cancer Patient Organoids." bioRxiv. 2019 February 06. 10. Luis C Santos, Robert Vogel, et al. "Origins of fractional control in regulated cell death" bioRxiv.Oct. 10, 2017. 11. Jubierre Zapater, Luz. "Epigenetic regulators in neuroblastoma: BRG1, a future therapeutic target." tdx.cat.2017-10-09. ABT-263 (Navitoclax)是Bcl-xL、 Bcl-2和Bcl-w的抑制剂，Ki值分别为Ki≤ 0.5 nM、≤1 nM 和≤1 nM。. 1. Mérino D1, Khaw SL, Glaser SP et al. Bcl-2, Bcl-x(L), and Bcl-w are not equivalent targets of ABT-737 and navitoclax (ABT-263) in lymphoid and leukemic cells.Blood. 2012 Jun 14;119(24):5807-16. 2. Suryani S, Carol H, Chonghaile TN et al. 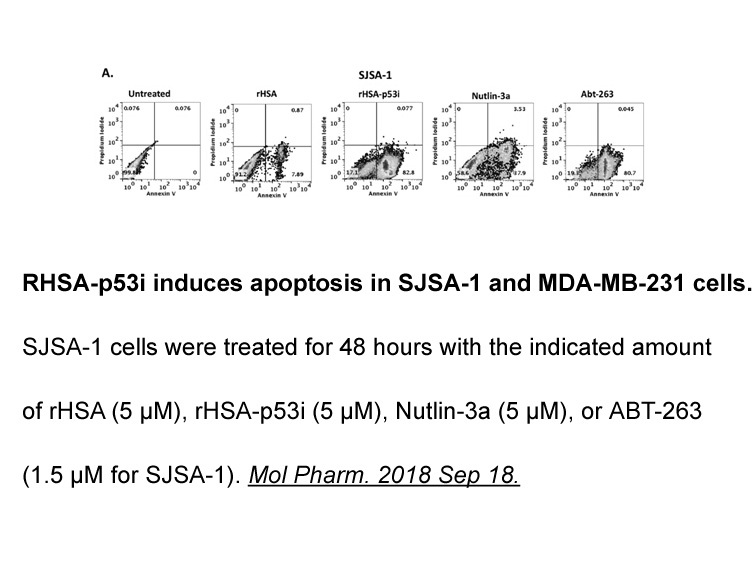 Cell and Molecular Determinants of In Vivo Efficacy of the BH3 Mimetic ABT-263 against Pediatric Acute Lymphoblastic Leukemia Xenografts. Clin Cancer Res. 2014 Jul 10. 1. 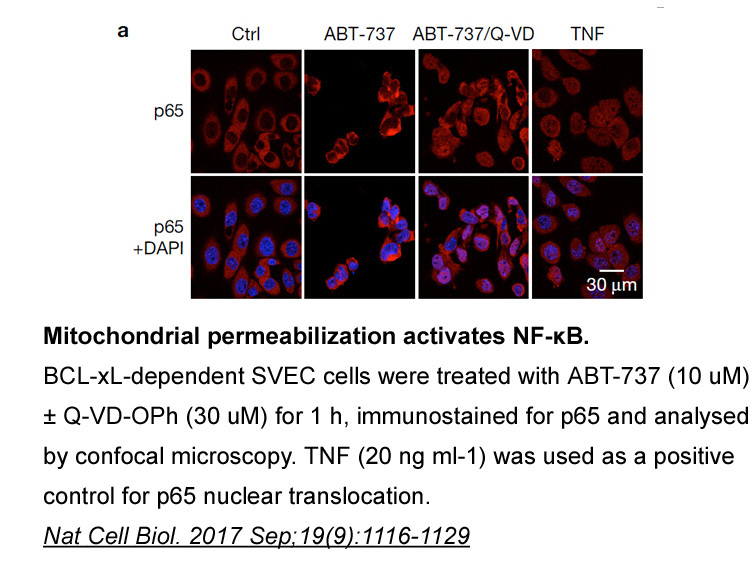 The role of lymphatic transport on the systemic bioavailability of the Bcl-2 protein family inhibitors navitoclax (ABT-263) and ABT-199. Drug Metab Dispos. 2014 Feb;42(2):207-12. doi: 10.1124/dmd.113.055053. Epub 2013 Nov 8. ABT-263 tablets (100mg) orally administered to both intact and TDC dogs exhibited low clearance (0.673 ml/min per kilogram) and low volume of distribution (0.5-0.7 l/kg) with a half-life of 22.2 hours and the bioavailablity of 56.5%, where 13.5% of the total ABT-263 dose in TDC dogs was transported in lymph with the bioavailability of 21.7%. However, in fasted TDC dogs, a 1.8-fold decrease in lymph transport of ABT-263 was observed. 2. 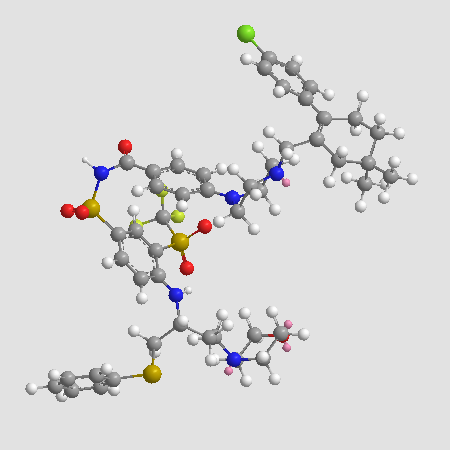 Navitoclax (ABT-263) and bendamustine ± rituximab induce enhanced killing of non-Hodgkin's lymphoma tumours in vivo. Br J Pharmacol. 2012 Oct;167(4):881-91. doi: 10.1111/j.1476-5381.2012.02048.x. 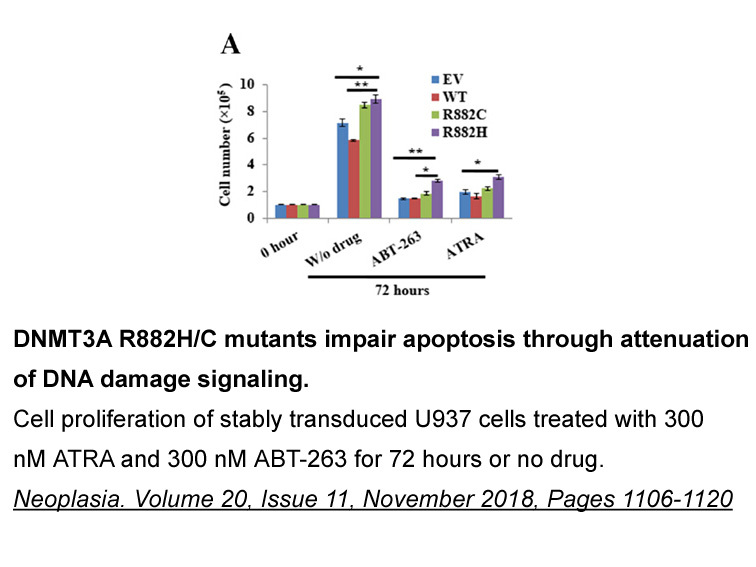 As an inhibitor of Bcl-2, Bcl-x(L) and Bcl-w, ABT-263 exhibits antitumor activity against haematological tumors when used alone or in combination with other agents. 3. Phase II study of single-agent navitoclax (ABT-263) and biomarker correlates in patients with relapsed small cell lung cancer. Clin Cancer Res. 2012 Jun 1;18(11):3163-9. doi: 10.1158/1078-0432.CCR-11-3090. Epub 2012 Apr 11. 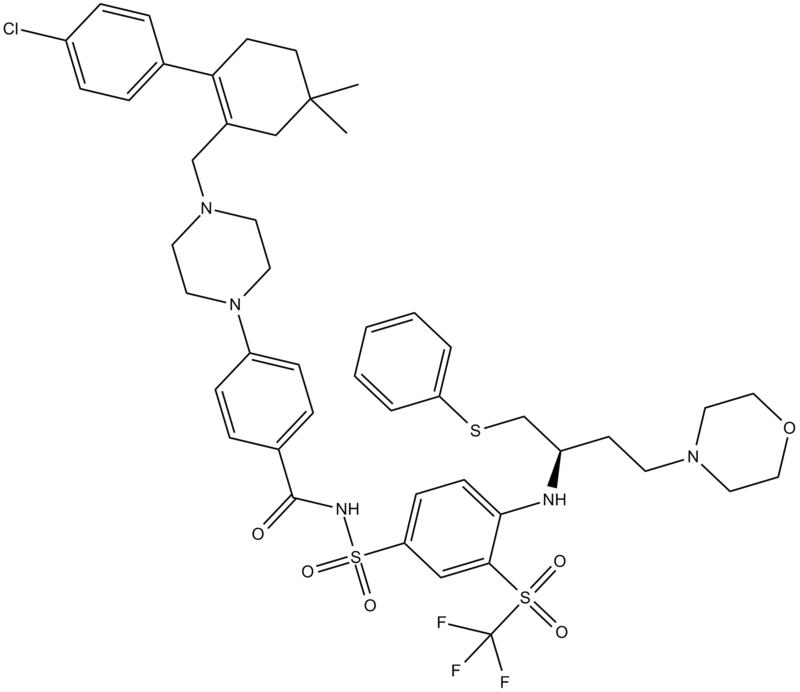 ABT-263 is a potent and selective inhibitor of Bcl-2 and Bcl-x(L). 4. 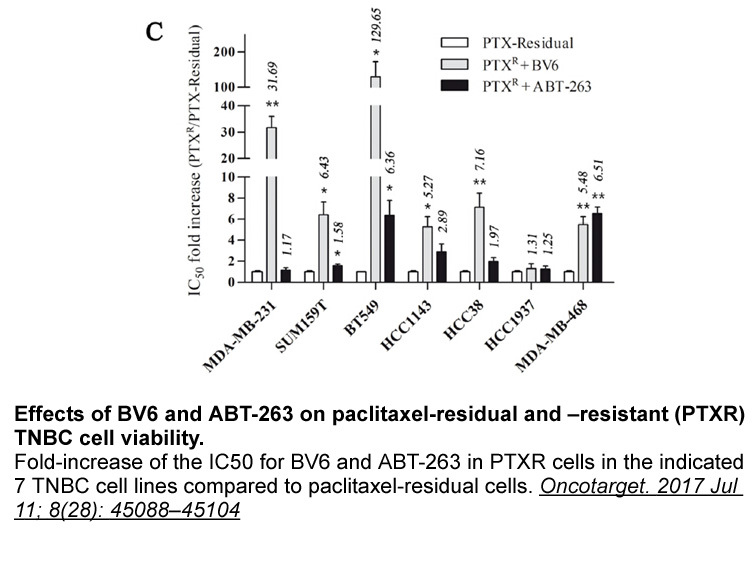 Navitoclax (ABT-263) reduces Bcl-x(L)-mediated chemoresistance in ovarian cancer models. Mol Cancer Ther. 2012 Apr;11(4):1026-35. doi: 10.1158/1535-7163.MCT-11-0693. Epub 2012 Feb 1. 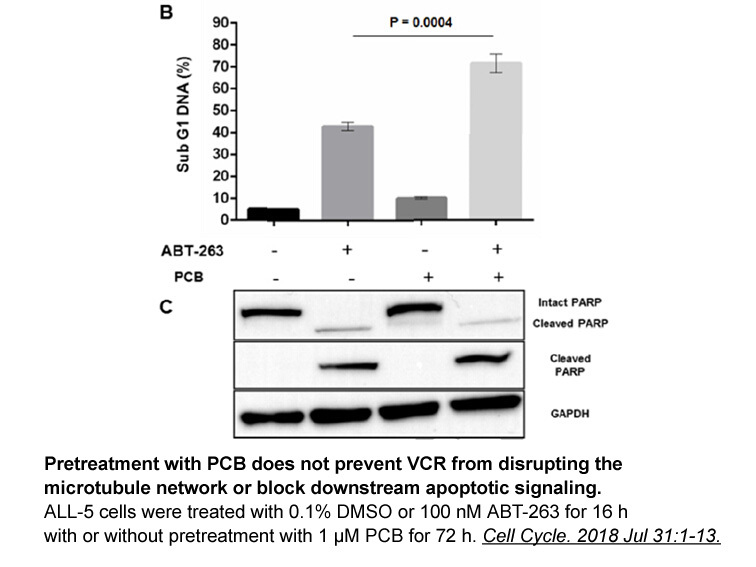 Synergistic effects against ovarian cancer cells were observed in both ABT-263/paclitaxel and ABT-263/gemcitabine treatments with a stronger effect in ABT-163/paclitaxel treatment killing 50% of tested ovarian cancer cells. The combination of ABT-263 with taxane-based therapy is more suitable for ovarian cancer patients with high levels of Bcl-x(L). 5. Bcl-2, Bcl-x(L), and Bcl-w are not equivalent targets of ABT-737 and navitoclax (ABT-263) in lymphoid and leukemic cells. Blood. 2012 Jun 14;119(24):5807-16. doi: 10.1182/blood-2011-12-400929. Epub 2012 Apr 26. 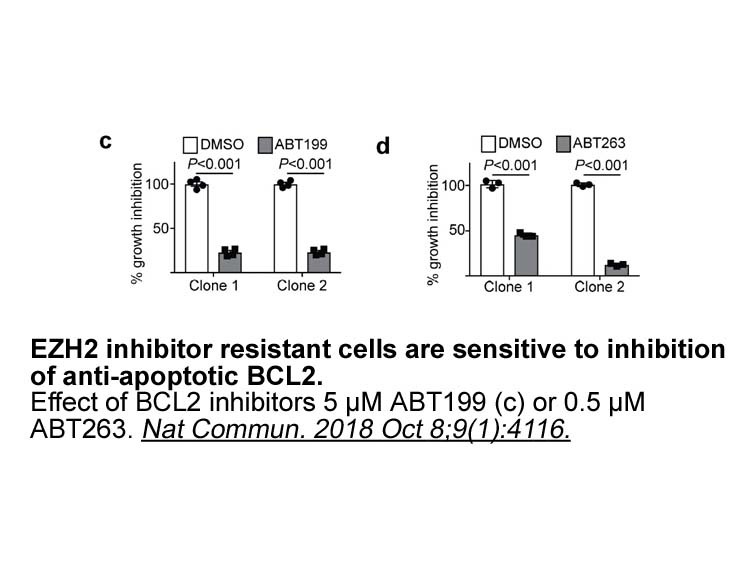 ABT-263, an inhibitor of Bcl-2, Bc,-x(L) and Bcl-w with promising antitumor efficacy, is sensitive to human non-Hodgkin lymphomas with high expression of Bcl-2. 1. 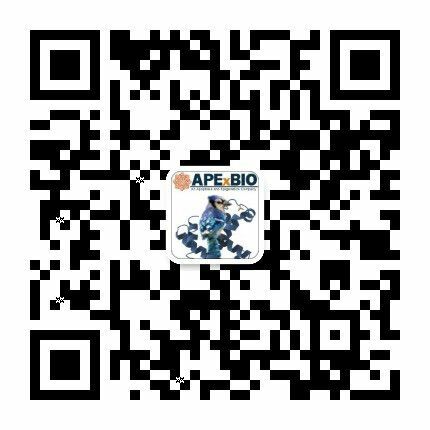 Tse et al., ABT-263: A Potent and Orally Bioavailable Bcl-2 Family Inhibitor. Cancer Res. 2008, 68, 3421-3428.